More and more colleges are offering early admission options to high school seniors, but relatively few take advantage of those opportunities. Applying for early admission is a great way to stand out to the college or colleges that you're most interested in. Applying for early admission comes comes with a variety of benefits. Read this Los Angeles Times article to learn more about how early admission options can reduce your stress during senior year and even increase your chances at being admitted to your dream school. Wouldn't you want peace of mind in December as many of your friends agonize until April? An increasing number of high school seniors [are] taking advantage of early admission programs, which allow students to apply to their top choices in November and find out in December — removing a lot of stress and uncertainty in the process. There is a debate over the fairness and effectiveness of early admissions, but the number of colleges offering those options have increased by nearly 7% in the past five years. 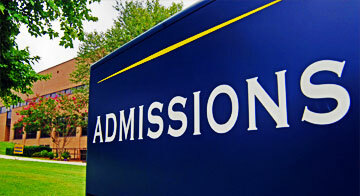 Are you going to apply for early admission at any college? We would love to hear your comments below.